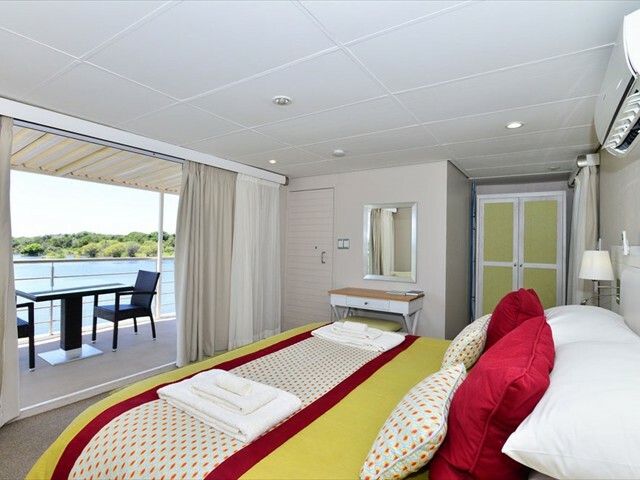 As you lie in bed and drink in your striking surroundings, you’ll find it very hard to leave the comfort of your cabin on board one of our luxury Chobe Princess houseboats. Tasteful decor cleverly combines local flavour with contemporary design, and the overall focal point is the large sliding window that frames the changing African landscapes perfectly. 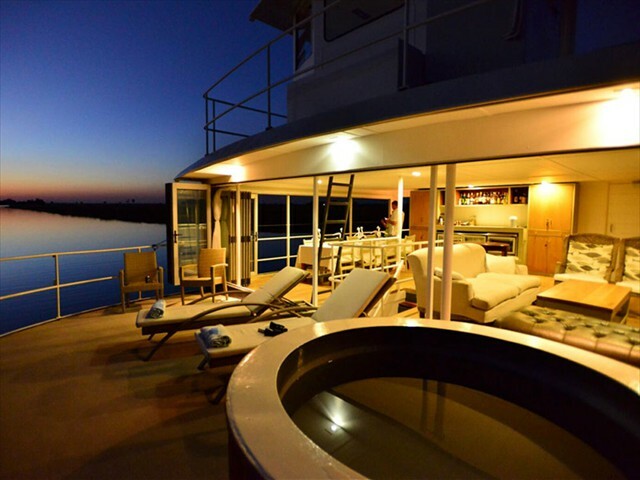 Two of the 18-metre Chobe Princesses contain four cabin suites, while the third is slightly larger with five suites. Each cabin sleeps two people - either in a king-sized bed, or in two single beds if you prefer. Along with air-conditioning, cabins are fitted with mosquito-proofed windows and en-suite bathrooms with a shower, toilet and basin. Luxurious toiletries are provided for your comfort, as well as insect repellent for a peaceful night’s sleep. Hairdryers are available on request. Head to the upper entertainment deck of your luxury houseboat and relax in the spacious lounge and bar, as you take time to simply sit back and soak up the scenery. This deck also has an open-air dining area where you can enjoy superb seasonal meals prepared by experienced chefs. Want to cool off? Take a dip in the plunge pool before unwinding on a sun lounger with an ice-cold drink served all day from our bar. Our lounge area comes with oversized leather couches, tables and chairs that are the perfect place from which to enjoy a spot of game viewing or simply to spend time with family and friends. As night draws in, enjoy some unforgettable stargazing under a vast African sky. A major feature of the Chobe National Park is the elephants, whose resident population is estimated to be over 120 000. You’ll also be able to see large herds of buffalo, and if you’re lucky, rare sightings like herds of Roan Antelope and Sable. Besides the land and water-based mammals, this is also a birdwatcher’s paradise and you can expect to encounter over 450 species. Because the Chobe Princesses are smaller vessels, they traverse about 50km of the Chobe River, as opposed to the Zambezi Queen, which traverses a shorter distance of about 25 kilometres. This doesn’t mean that either one is a better or worse game viewing experience – it’s just that the pace at which you move is different. Each day, you'll stop at different mooring spots in the afternoon where you’ll stay for the night. Several environmentally friendly standards have been set on the Chobe Princesses. They run the latest, most fuel efficient and lowest emission generators during the day. After 22h00, the entire boat switches over to the battery power through the night. Hot water is provided by a solar heating system on-board the vessel and energy-saving lights are installed through the vessel. All cleaning detergents and amenities on the houseboats are biodegradable, and they use an eight-stage river water purification plant for water in showers, taps and the pool. 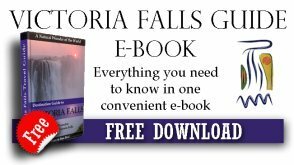 A water jet propulsion system replaces the conventional propeller system causing no damage to the riverbed and/or fauna and flora. 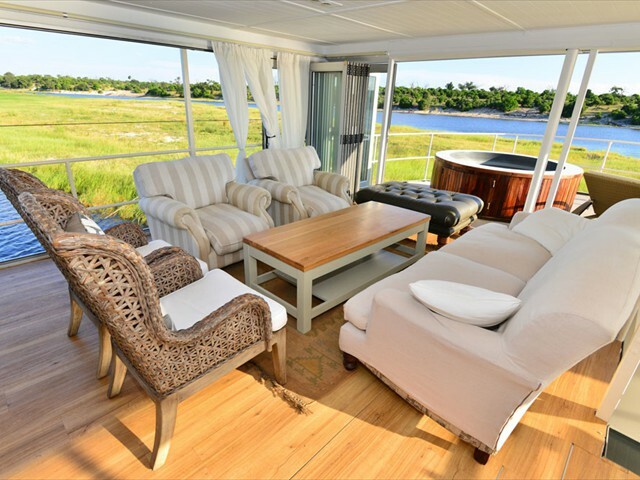 We love the flexibility, romance and location of the Chobe Princess houseboats. 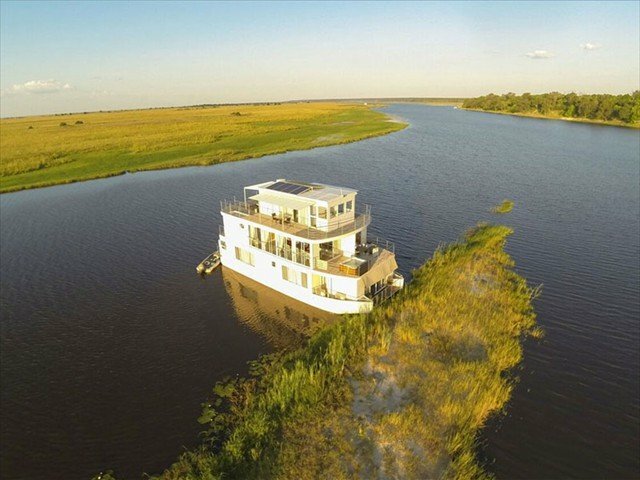 It makes for a truly relaxed African safari, and unique accommodation on the Chobe River. • If you are driving, make your way to Kasane to the immigration office where secure parking will be made available. 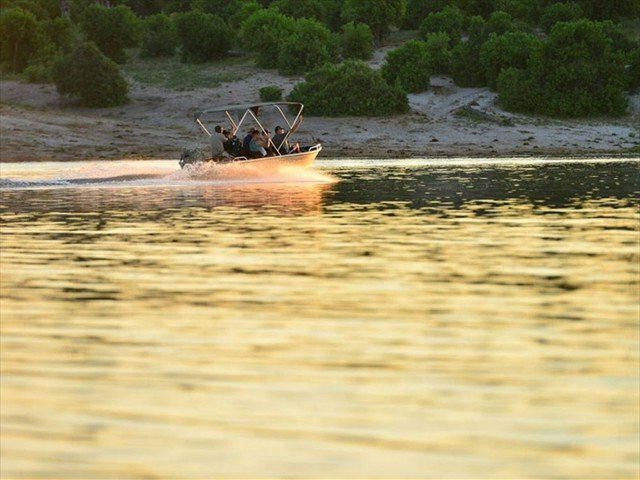 You will be met by the Chobe Princesses staff for immigration procedures, and your boat transfer to Namibia and the houseboat. • Fly into Kasane Airport (or Victoria Falls, Katima Mulilo or Livingstone Airport), and then get a road transfer to Kasane) and you will be picked up by the Chobe Princesses staff, who will take you to the Kasane Immigration Office for your border formalities, and then a boat transfer to Namibia and the houseboat thereafter.